The Kallokain Photo Loop: We are armed and have no sense of humor! FBI Agent: Dr. Keyes, your presence is required in the Pentagon. Dr. Josh Keyes: Aaah, it's my best buddies! Hey! Why don't you join us for a drink? FBI Agent: We'd be grateful if you could join us - for a ride, sir. Dr. Josh Keyes: And if I were to say no? I'm just asking. FBI Agent: Well, we have no sense of humor. Dr. Josh Keyes: That's true. FBI Agent: And we're armed. I tweaked the image a bit in post, of course: Turned it black and white, increased contrast and detail, sharpened it a bit. I also removed a reflection in the glass between me and the mannequins. 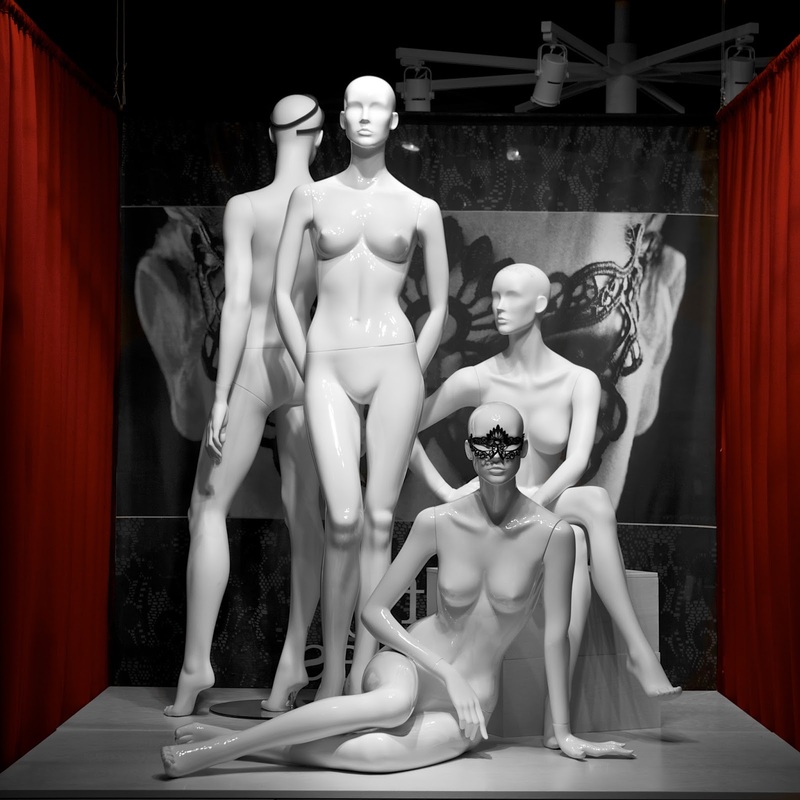 You can have quite a bit of fun shooting mannequins in shop windows. It is good practice, and mannequins do not complain if you experiment a bit, and botch something. The act of walking around camera in hand forces you to be in the now. You can't walk around thinking of the past, or the future, you have to be there, or you won't get the shot. The purpose of shop windows is to draw attention, so it should not be a surprise that you can find interesting things to shoot in them. So, get out there and shoot!